India Tourism Development Corporation will transfer the rights of Hotel Brahmaputra Ashok, Guwahati, to Assam government. North East India, considered as one of the most culturally diverse regions in the world, has always been viewed as a fascinating, mystical place. Situated at the river bank of the mighty Brahmaputra, Hotel Brahmaputra Ashok has been transferred from India Tourism Development Corporation (ITDC), an autonomous corporation under the Ministry of Tourism, to the Assam government. Sarbananda Sonowal, Chief Minister of Assam, has received an assurance in this regard from the Union Tourism Minister, Dr Mahesh Sharma. Sonowal has confirmed this decision of Government of India on a twitter message. He said that the transfer will happen “within a few days”. The Union Tourism Ministry has also sanctioned a sum of INR 983.5 million for Assam for the development of the heritage tourism circuit in the state, comprising Tezpur-Majuli-Sivasagar. The financial support will be given under the Swadesh Darshan scheme of the Ministry of Tourism. Guwahati, the gateway to north-eastern India, is a prominent business city and close by is the Kaziranga Wildlife Sanctuary – the abode of the one-horned rhinoceros. Built in Assamese style, with bamboo and cane furnishing, the hotel combines modern amenities and traditional decor. Surrounded by lush green gardens, religious landmarks and bustling city life, Hotel Brahmaputra Ashok plays the perfect host in your quest of exploring Guwahati. 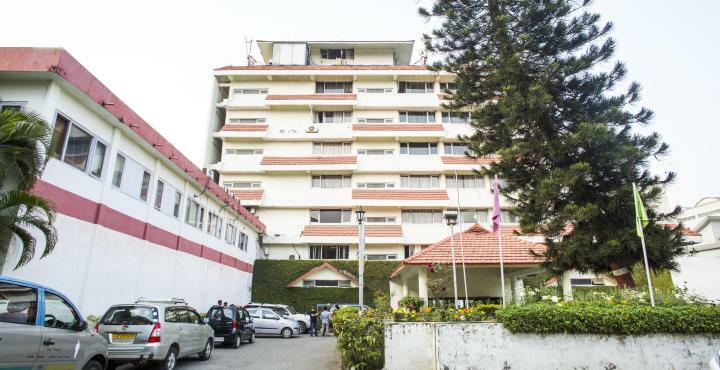 Hotel Brahmaputra Ashok was established to provide hotel infrastructure in Guwahati, when the city was underdeveloped, unexplored and no private entrepreneur invested in tourism. The hotel, with 3-Star luxuries, welcome business and leisure travellers to its warm and cosy rooms which offer photo-worthy views. It has a peaceful and pollution-free environment on the banks of Brahmaputra, overlooking the world’s smallest inhabited riverine island, the Umananda Island, the earthly abode of Lord Shiva and Parvati. It is located just a kilometre from the railway station, 21 km from Guwahati Airport, is opposite the Guwahati High Court and Guwahati Planetarium is in the neighbourhood.